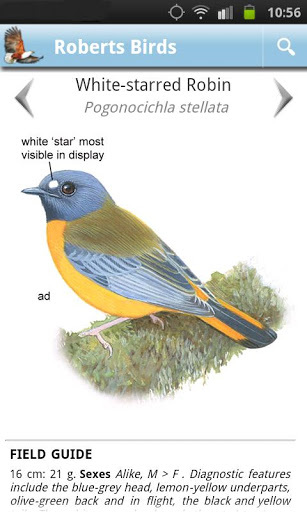 I developed the Robert's Birds Android app, a niche app for professional bird-watchers. It features over 1Gb of high-quality data for Southern African birds that can be searched or browsed, even on a low-end device. © Copyright 2013 Toby Kurien.